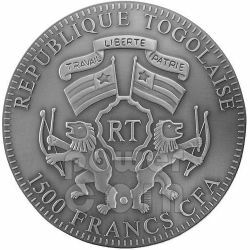 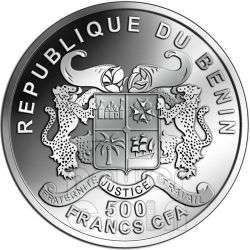 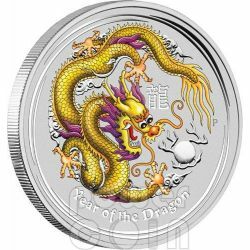 The first coin in Benin Lunar serie presents the Year of the Dragon, with mintage of only 555 pieces worldwide. 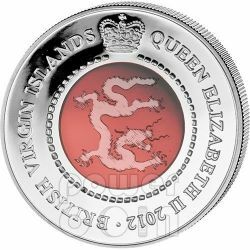 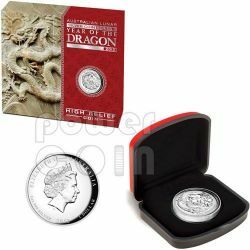 The dragon is considered to be a very strong symbol and these superb proof quality releases are perfect for people born in dragon years who are regarded as confident, enterprising, independent, self-assured, brave and passionate. 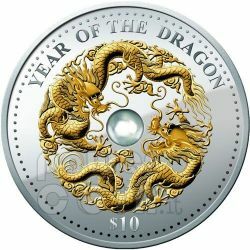 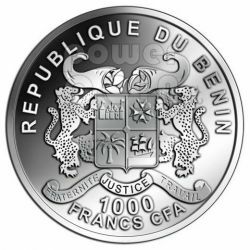 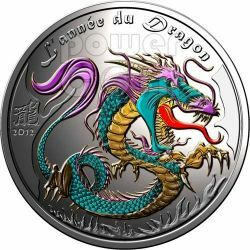 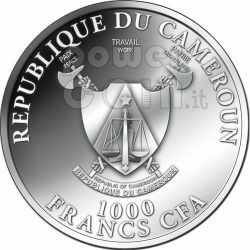 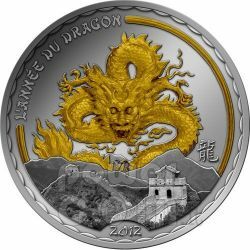 The first coin in Benin Lunar serie presents the Year of the Dragon, with mintage of only 888 pieces worldwide. 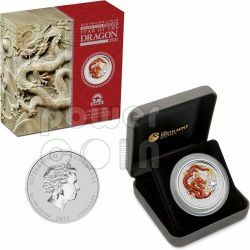 The dragon is considered to be a very strong symbol and these superb proof quality releases are perfect for people born in dragon years who are regarded as confident, enterprising, independent, self-assured, brave and passionate. 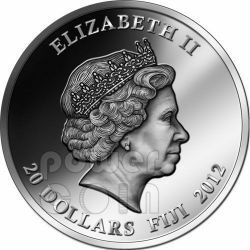 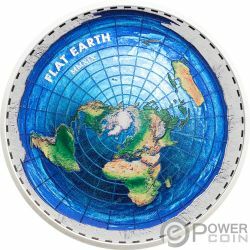 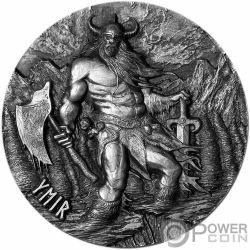 This is first coin of a new lunar series, made of 2 oz of pure 999 Silver featuring a red fire ruby gemstone inlaid in the coin. 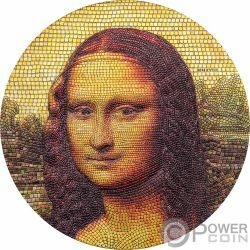 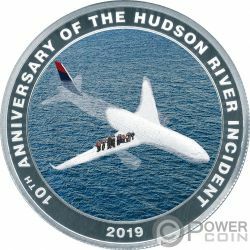 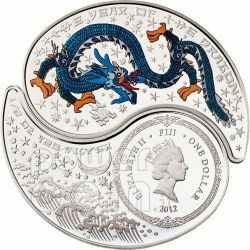 With a mintage of only 888 pieces and a gorgeous design, a fast sell out is expected. 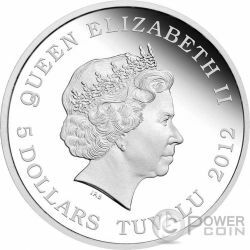 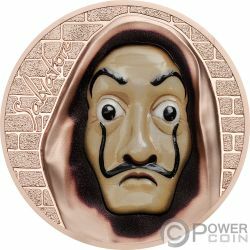 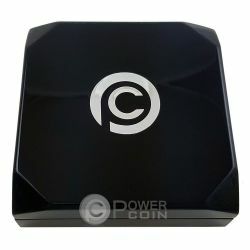 In occasion of the Year of the Dragon, a unique Silver coin partially gold plated is issued extremely limited to 888 pcs only. 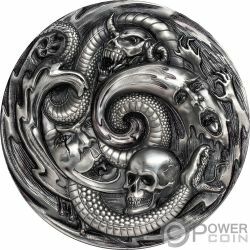 The snake is one of the oldest and most widespread mythological symbols. The dragon is considered to be a very strong symbol and these superb proof quality releases are perfect for people born in dragon years. 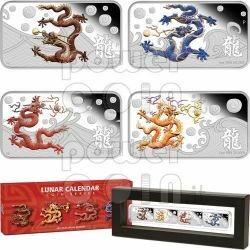 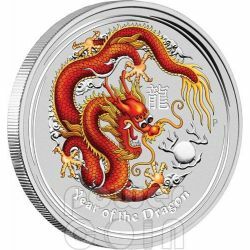 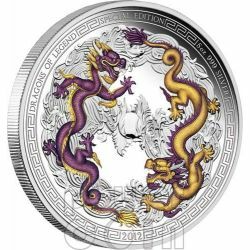 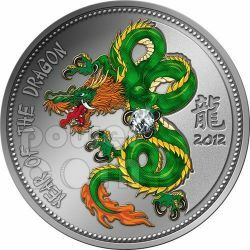 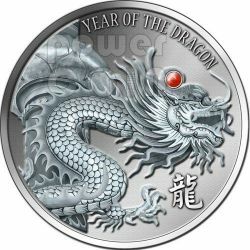 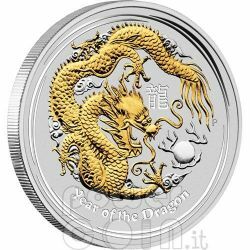 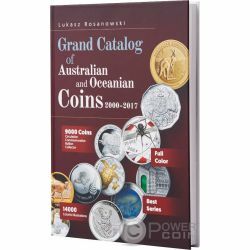 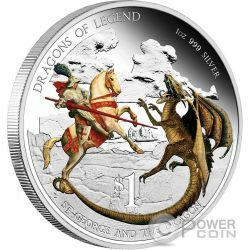 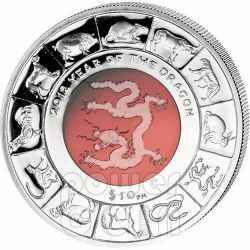 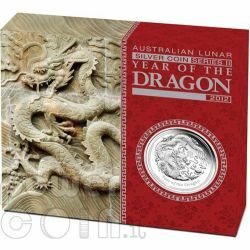  In 2012 the Australian Lunar Silver Proof Coin Series II celebrates the Year of the Dragon and Sydney ANDA Coin Show Special. 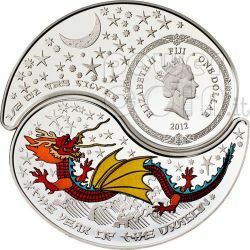 The dragon is considered to be a very strong symbol and these superb proof quality releases are perfect for people born in dragon years who are regarded as confident, enterprising, independent, self-assured, brave and passionate. 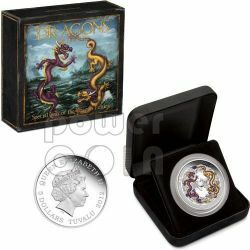 This is a special edition made of 2 oz Silver issued for Perth ANDA Coin Show, sold out very fast at the show. 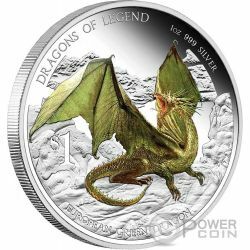 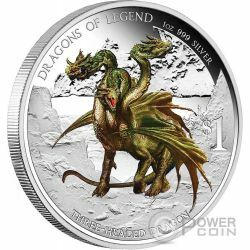 We are proud to offer this unique and truly scarce Dragon, with a total mintage of only 1,000! 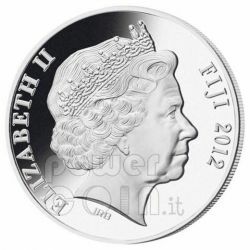 The annual World Money Fair (WMF) was held in Berlin early in 2012. 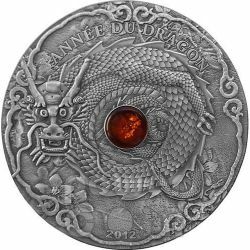 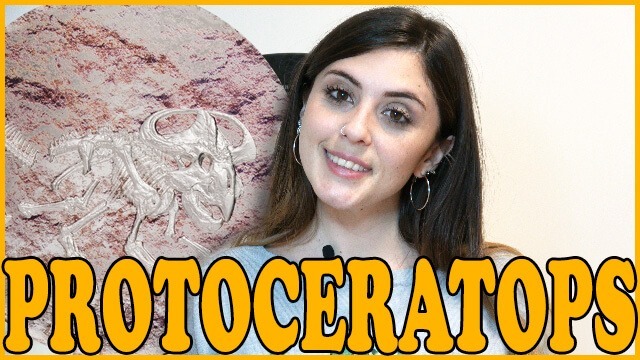 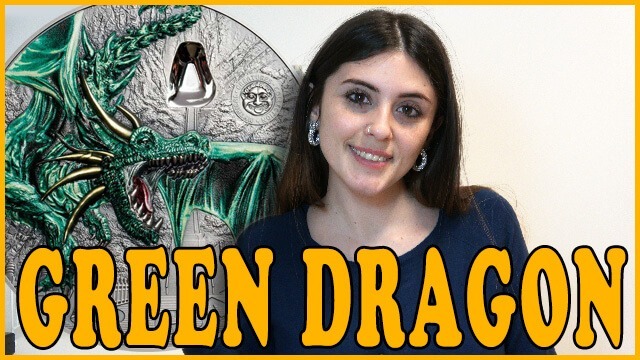 To celebrate the World Money Fair (the world's largest coin show and numismatic event), we are proud to offer this unique and truly scarce Black Dragon, with a total mintage of only 5,000! 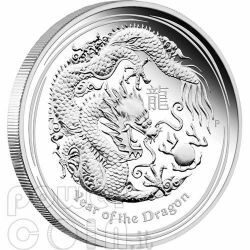 Adding to the highly successful Australian Lunar Series II, 2012 Year of the Dragon, The Perth Mint is excited to present this spectacular 1oz Silver Proof High Relief coin. 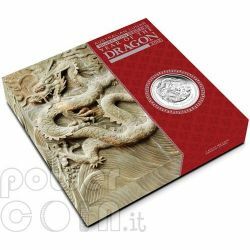 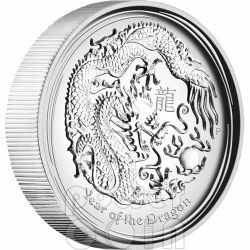 The dragon is considered to be a very strong symbol and these superb proof quality releases are perfect for people born in dragon years. 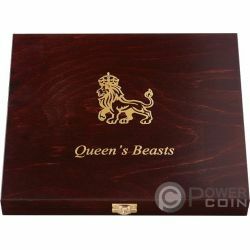 Celebrating the Year of the Dragon, this four-coin set is a prestigious and exceptionally limited offering from The Perth Mint. 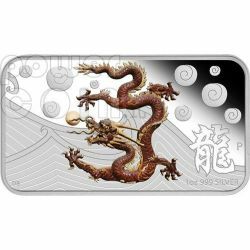 Each rectangle coin is struck from 1oz of 99.9% pure silver in proof quality.